Update: Entries for this giveaway are now closed. The winner of the $50 Madison Reece Designs Giveaway will be announced Wednesday morning! Welcome to the 30th edition of Frugalicious Friday! You know what to do...this day's all about sharing your fabulous, thriftiest, most frugalicious home decor finds! And if you revamped your find in a fab Craft or Diy project, well tell us about that too...we can always use a little extra Diy inspiration! Are you new to Finding Fabulous? Well ya gotta follow the rules...here are the guidelines for this fun day that's all about $aving! So excited cuz we've got a giveaway today from Madison Reece Designs...a fab sponsors here at Finding Fabulous! 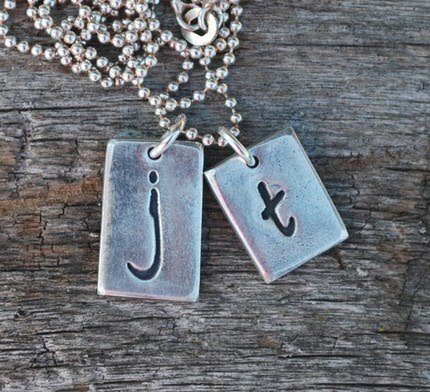 Madison Reece Designs offers Rustic, Unique Fine Silver Custom Monogram Jewelry. 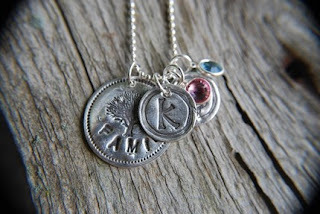 Yup, I'm in LOVE...check out a few of their beautiful designs! For our Giveaway today Madison Reece Designs is offering a $50 gift certificate towards any item in their shop, to one lucky Frugalicious Friday Participant...wahoo! 1. Show me the Linky Love...link up your fabulous finds, crafts and Diy projects! 2. Visit the Madison Reece Designs website, and leave a comment here telling me which design is your favorite! 3. Follow Finding Fabulous if you haven't already, and leave a comment! Okay guys easy breezy giveaway, so link up and give us the scoop on your fabulous finds! As usual, I'll announce the winner next week in my Frugalicious Friday Favorites post...Good Luck! I love the Family Jewels set. Thanks for hosting another great link up!!! The family jewels is precious! Love the new look Jane - Simply fabulous! Hope you have a great weekend - Thanks for hosting! I love them all, but I'll just take that first one since it's my initial. Thanks for hosting every week. I love the Count Your Blessings! So cute. Thanks for hosting each week. Oh, and I love the new background! Thank you for hosting! I love the Simply Initials and My Heart is Full! I have nothing to post this week thanks to my gall bladder but I loved looking at all the entries. Thank you for hosting such a successful party. I am featuring your twine wrapped bottle from a few months ago at somedaycrafts.blogspot.com! Wow, it's so hard to pick just one favorite, but 'Count Your Blessings' is at the top of the list. Thanks for hosting such a fun party! I love your site redesign! Thanks for hosting a yet again fabulous party. I love all the projects and will be visiting them as time permits. I did take a gander of the leather dying and OMG!! What a fabulous idea!! I'd love to get my first name initial. Love the initially yours necklace! Too cute! Thanks for hosting! Oh, I love the rustic monogram vintage silver necklace. Thanks for the giveaway I hope I win!! Just linked up. Thanks for hosting this! I love the square monogram! Its different and fun. And I'm loving the new colors on your blog! I love the On the Vine necklace. Thanks so much for hosting! I adore the Rustic Silver Cameo Monogram necklace. It's gorgeous! 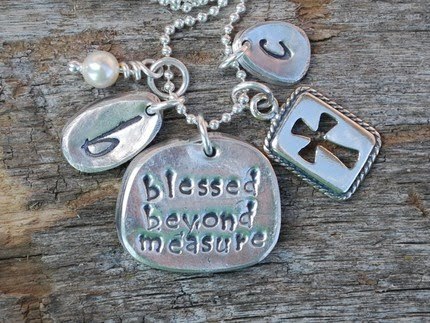 I like the rustic silver-words to live by. I just love Madison Reece Designs - in fact, I asked for Rustic Silver - Family Branches for Mother's Day and posted about it on Facebook. Sadly, I didn't get it; but I might buy this gorgeous piece for myself. Great link party. Thanks so much for hosting. My favorites would be the Rustic Silver - Desert Sands earrings. Be sure to pop on over to the cottage for my awesome giveaway. Only eight more days to enter. Click on the button in my sidebar for details. Thank you for the giveaway. I'm a follower! 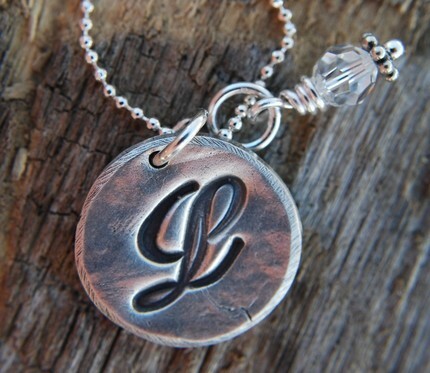 Ny favorite item in the shop is the simply initials. I'd love ANY of them!! Fabulous! I really like family jewels. 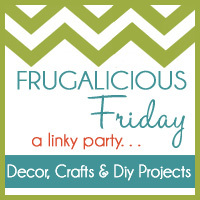 Thanks for hosting the Frugalicious Friday party. I'm a new follower. I like the family jewelery. I like all her designs!! I think I would pick the rustic birdie, its so sweet. I also like all the initial charms! I love the family jewels! They are so beautiful! I need the family branches! Beautiful!! The jewelry is cute. Thanks for hosting the party. I'm a follower. There are soo many to choose from. I love them! I love the family tree one the best. Thanks! I am a follower of your fabulous blog! and i linked up a tutorial :) thanks for hosting this fabulous giveaway and link party! I hope I win!!! I'm a follower! Have read your blog for a while! I totally LOVE family jewels but she no longer has it in her shop. So if I had to pick one from the shop it would be "I choose Happiness". That is how I try to live life...looking for the silver lining. Hello those jewelry look so gorgeous I would like to buy some of those and the contest for best decorating looks so interesting. So cute...are those for sale? I have a friend who is looking for a key chain that has his name on it. Do you have those?